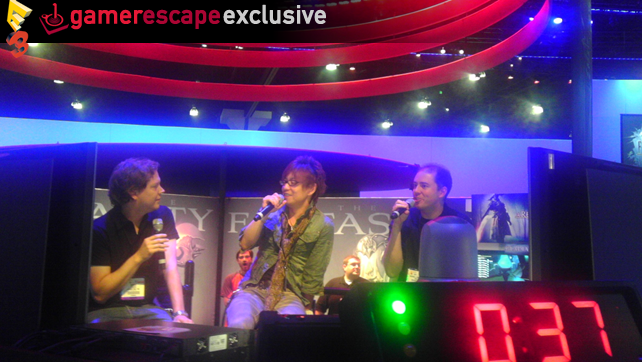 Between doing live streams, signing autographs, participating in and commentating on Ifrit battles, Naoki Yoshida, the Director/Producer of Final Fantasy XIV: A Realm Reborn found some time to talk to us at last week’s E3. We recently asked the community (that’s you guys!) what they wanted to get some information on. Unfortunately, the downside of that is the community also asked Square Enix and as a result of this, some of our questions were also answered in the live letter on day 3 (which was directly after our interview time). On the plus side, we do have some interesting bits of info that you won’t find anywhere else! 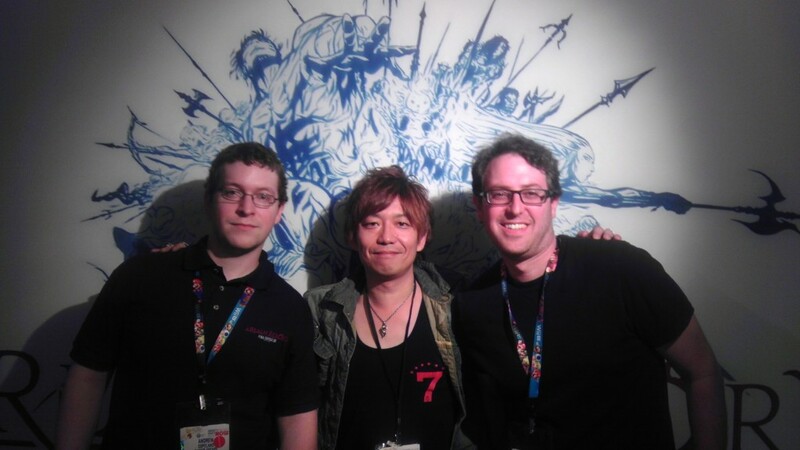 Check out our full interview with Naoki Yoshida after the jump! GE: It’s been a while since we’ve heard anything about fishing. Can you tell us how it’s going to work and when we will be able to try it? Yoshida: Fishing will be available starting in phase four of the beta test. Players can check it out then. We mentioned before in a Producer’s Letter live, but the concept that we have for fishing in FFXIV is that we didn’t want to make it action based. We didn’t want actions like a battle class has, or to be pressing buttons at certain times like it was originally. Rather, we want to have players just go to a lake or river or ocean, and have players, depending on what type of water it is and maybe what time of day it is, choose which rod you are going to use, and maybe what bait or lure you are going to use. The concept is that fishing is supposed to be a conversation with nature. We wanted the fishing in fourteen to be representative of that. We really wanted it to be something you can do in the free time that you have. For example, you go into the duty finder and while waiting in the queue, you can change to fisher and fish a little bit, and when your number comes up, change back and go. Or if you are waiting on a friend to log in. To be able to do something in that downtime that’s fun, but relaxing. GE: Are there going to be any types of actions you need to do while fishing? We have seen comments that this could be easy for RMTs to bot if there are no actions to take. Yoshida: Even now, RMT can create bots to get around the timing of actions. What we don’t want is to have fishing become stressful. It is supposed to be a relaxing thing. Pressing extra buttons for actions is going to create that stress. We’re going to make sure that the stuff you get from fishing is not stuff that is going to be lucrative for RMT. The system needs to be relaxing. What we want is for fishing to be more about what you’ve done. So maybe achievements for catching certain sizes of fish? Or having a log that keeps track of your own collection of what you’ve caught before, or how big a fish you’ve caught before, or whether you have fished in all fishing spots? Having things that are connected to you. This is not to say we’re not thinking of other things. For example, maybe you fish up a treasure map, and that map leads to a new quest- we are planning things like that. GE: In the last live letter, when you were showing off the chocobo companion, it looked like there were Mamool Ja in La Noscea. Were those Mamool Ja? Why they are in FFXIV and what role do they play? Yoshida: Yes, they were Mamool Ja. One of the concepts in developing FFXIV is to bring the flavor of other Final Fantasy games. We have a lot of monsters from not just FFXI, but also FFXII and some from FFXIII and past games in the series as well. But that’s not to say we’re randomly picking monsters. 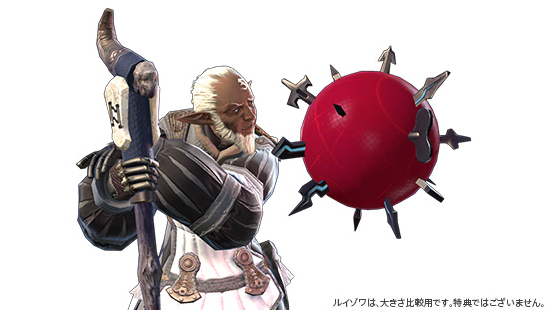 They will all have their own back-story, so for example, for the Mamool Ja, there will be quests that will explain why the Mamool Ja are in Eorzea. GE: In FFXI they were were one of the big beastmen races. Are they going to have a role similar to that in FFXIV? Yoshida: No, their presence isn’t as large as the other beast tribes in Eorzea. But that doesn’t mean that over the next few patches and updates that they won’t develop a stronger presence in Eorzea and maybe getting strong enough to maybe summon, their own, maybe, primal, maybe. GE: Can you tell us about Summoner? What type of role will it have in a party? Do you envision it to be a healer? Attacker? Support? Yoshida: Closer to an attacker, but different than the other types of attackers you have seen in the other jobs and classes in FFXIV. The summoner himself will be concentrating more on damage over time (DOT) spells and buffing spells. The summon – and you won’t be summoning, for example, Ifrit himself, but will be summoning a different form of Ifrit, which we are calling Ifrit Eggi, which you might recognize from FFXII – will be used in a different way as well. So it will be an attack type of job, but its going to be a little bit different. GE: Are the Eggi pets? Or will they show up for an attack and then disappear? Yoshida: They will be a pet and stay with you after you summon them. GE: We’ve seen the housing information in the live letter and have a few questions. Can you upgrade the size of the house that you already own, or do you need to buy a new house? Yoshida: The size of the house, yes, you can upgrade. But you purchase land, and build the house on the land. So if you purchase a small plot of land, you’re limited to that. The size of your house is limited to the size of your land. So, if you buy a small plot of land, and want to build a house bigger than the plot of land, you will have to sell the land and buy a bigger plot. GE: Can you also sell the house? Or are you just buying and selling the land? Yoshida: Yes, you can sell the house as well. GE: There has been talk about free company housing, how will you determine who can access the house or who can change elements of the house? Is that something that is limited to Free Companies, or is this something you can share with friends? Yoshida: The housing system will have its own separate UI widget, which will have all of your options. It will have access options, where you can say: allow only Free Company access, or Free Companies and those free companies we have made alliances with, or we want anyone to be able to come in, or we want no one to be able to come in. That type of customization will be there to support the housing system. Of course, Free Companies will also have their own chests, where you can put loot and money. GE: Is the house access carried over to everything in the house? Yoshida: The chest access will be separate from house access. It’s going to be very very detailed. But who decides on who gets access? That’s your Free Company that decides. Everyone in the Free Company has ranks and associated access, and the leader decides who gets which rights. So if someone has been given rights to change access you can, but if you haven’t been given that right you might be in the Free Company but with more limited access. GE: In the live letter you showed the different sizes of the houses. Some of the rooms were dark and we didn’t see any windows. We know there is a lot of customization you can do to the house – are windows part of that? Yoshida: We are going to add windows. It will be nice and bright. GE: Is that something that will be added by players? Yoshida: It depends on the type of house. GE: Because of legacy subscribers and regional data centers, people will be moving around. Do you have anything in place to ensure that a whole Linkshell can move before a world fills up? Yoshida: This is difficult. We don’t want to reserve spots for groups that might move, because we don’t know who is going to move. But what we will do is let players know server information before – like this server still has x many spots, or maybe just has a lot of spots and this other server is almost full. So it will be on the Linkshell. If you try to have a 100 person Linkshell move to a server that we’re telling you is “almost full” and you only get half in, then it’s your fault for not choosing one where we told you there was “lots of room”. But, we know that in WoW there was a system to move whole guilds to new servers. So if that was the case we’re going to look into having something that could possible afford that options to Linkshells in the future. GE: In Japan, it was recently announced there would be a release of the Before Meteor soundtrack. On Twitter, Soken mentioned that if people imported it, they could use the code for the Dalamud minion regardless of region. Can you confirm that? Yoshida: I don’t think this was confirmed yet, but we can confirm that the Before Meteor soundtrack will be available soon for other regions from the Square Enix store. So there is no reason to get the $100 import to get the Dalamud minion. We want to get across to players, so they don’t worry, and it is my personal policy, to not have items that are region specific – that you can only get in America, or only get in Japan, or only get if you go to this one event in Switzerland or wherever- we don’t want to do that. We can’t say in the next ten years we will never do that, because we don’t know what will happen, but my personal policy is not to have things like that. GE: As someone that has had to import a lot of Final Fantasy XI stuff I really, really appreciate that! Yoshida: Something like that is something that can really put people off from a game. We’re playing on the same servers and playing the same game, but these certain people get advantages and we don’t? That can turn people off and we don’t want to do that. GE: What is the lore aspect for Minions? It seems strange that you come back five years later and see bombs and pointy fingers following players around. How do they fit into the world? Yoshida: Ok. This is a first reveal here. Think of them as toys. There is a master crafter NPC somewhere in this world creating these toys – and his story will be told in the future. So you find out who’s creating these minions, and what they’re for, and why he is creating them. GE: Are there any future plans for minions? In WoW, for example, there was a battle-type system. Any plans for anything like that? Yoshida: We have so many minions planned. For us, we don’t want this to have too big of a footprint in the game, because some will be from events and different things and if they were really useful in the game and some people that don’t have them will be at a disadvantage. We don’t want to create that unfairness, we want it to be more of a fun thing. We saw how they did the fighting pets in WoW, and I thought it was really just Pokemon. But, we are looking at having the companions, like the Chocobo or Magitek armor, battle. Would you rather have two airships or two fingers fighting? We think that’s what the players want – to see Chocobos and Magitek fighting – so we will put our efforts there. Keep an eye out next week for our interview with localization member and all around cool guy, Michael Christopher Koji Fox (Fernehalwes)! GE: With Scholar coming from Arcanist, how will leveling work? Will getting Arcanist to 50 give you both a level 50 Summoner and Scholar? Will you have to choose between summoner or scholar? How will that work? 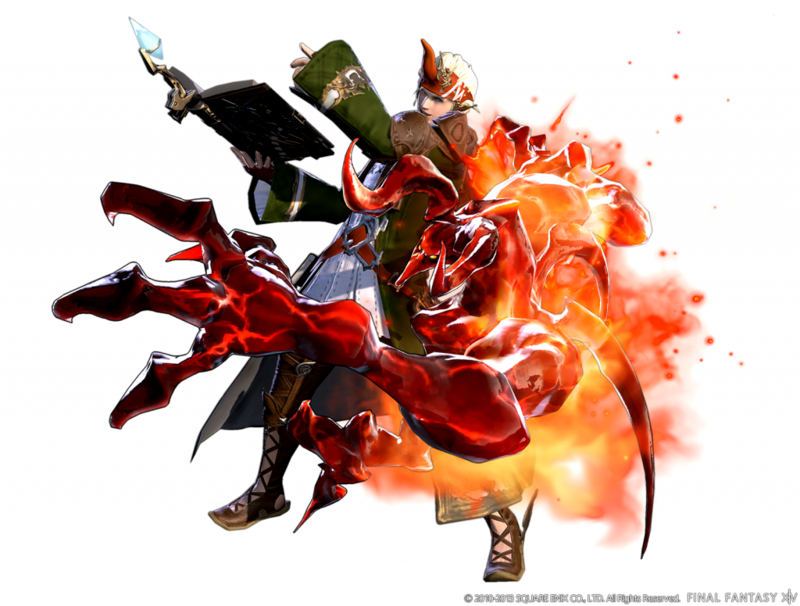 Yoshida: Leveling Arcanist to 50 will give you both a level 50 Scholar and Summoner. However, you will need to complete job-specific quests to acquire certain Scholar and Summoner abilities/actions. This information is truly invaluable. I have to ask, though… Did you have a translator for this conversation, or did you speak with him in Japanese? Translation was provided by Fernehalwes himself! That’s so awesome! I was hoping you spoke Japanese yourself, but even being in the same room as Yoshi-P And Fernehalwes? That’s amazing. Good interview, good info here! Before Meteor will be purchasable outside of Japan? Thanks for the info! Got some great stuff. I am so happy we won’t have to worry about region-locking. And that were getting are own version of the soundtrack.